US-China Today spoke with Taiwanese director and screenwriter Joe Chien about the horror movie genre in China, and the influence of censorship on the production of horror films. Originally published by US-China Today on September 10, 2018. Written by Fan Yang. In the summer of 2014, a highly-anticipated horror movie called The House that Never Dies (2014) debuted in China. Many Chinese audiences were let down by the film because of the perceived influence of censorship on the film content. Audiences rated the film 4.9/10 on Douban, China’s version of IMDB. Some commenters even vowed never to see another Chinese horror film again because of the censored film. Chinese horror films have been at odds with the government for decades because of their supernatural elements that conflict with Chinese political values. These films must pass a censorship screening and are often edited in the process. 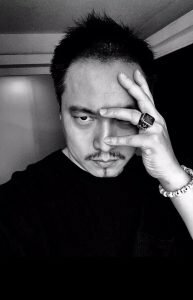 However, Joe Chien, a Taiwanese horror film director and screenwriter of Zombie 108 (2012), also known as Z-108 qi cheng, says audiences should not blame censorship, but rather the lack of creativity of Chinese production teams. Instead, the director argues that the censorship helps prevent gratuitous or obscene content in films. US-China Today spoke with Chien to learn more about the censorship of horror films and the critical importance of the genre. Can you describe the style and characteristics of Chinese mainland horror movies? I think my opinion is different from others because I identify myself as a Taiwanese film director. More than 90% of directors from mainland China want to break through the ceiling (film censorship). In other words, they want to change the opinions of SARFT regarding their movies. Since no superstition and supernatural are allowed to emerge in mainland cinema, the difficulty of producing a horror movie in mainland China has been greatly increased. For instance, dreams, nightmares and schizophrenia are usually inserted in the end and explain everything. However, I don’t think “no ghost” [censorship of the supernatural in Chinese cinema] should be an excuse for making poor horror movies. Sometimes, human nature is far more terrifying than ghosts and can be a perfect theme for a horror movie. How do you view China’s suppression of new domestic and oversea horror films from a societal and cultural perspective? How is this suppression different from using film ratings? From a societal and cultural perspective, I view their suppression as protecting their own people. First of all, I don’t think there is any country which encourages horror movies. Going to the cinema has become a more and more popular entertainment in China. Since there are no film ratings, almost everyone can go to films, including children. The Chinese government probably doesn’t want Chinese children to cry or to say, “Mom, I’m [scared] there is something under my bed.” It’s simply just bad for children’s mental health. If the Chinese government allows film ratings, lots of R (restricted) movies and adult movies will be produced. The problem is that people can access them easily. For example, when you are a father, you definitely don’t want your kid to access these movies. What type of surveillance does SARFT (State Administration of Radio, Film & Television) enact on horror film directors? How do Taiwanese horror movies directors like you deal with this surveillance in order to get into the mainland market? They just look at your script first and give opinions. I talked to a SARFT official once; I went to the “Three Places” (mainland, Hong Kong, Taiwan) summit which is held every two years. They told me: “If you can shoot a really good horror movie like Ghost (1990), go ahead. But you can’t shoot on that level. Most of Chinese horror movie directors only see horror as violence. In that case, how can we let you shoot such vulgar movies?” From the place that I came (Taiwan), directors cater to SARFT in order to get their horror movies into the mainland China film market, but they are not good at all. I don’t think horror filmmakers should please the censorship system and slash their movies, revise plots or even insert a “no ghost” ending. I think there are much more options for them. Nowadays, the internet is convenient and powerful. Recently, I noticed an innovative [streaming industry] called “Online Big Movies.” If you make a really good movie and post it to Youtube, Bilibili, etc, professions will notice them and will invest money in your future movies. Years ago, I was just a fruit vendor. I made some really good film clips and posted them on the net. Fortunately, my short films were appreciated by investors and they offered good investments. Now I also invest in some young movie producers and help them realize their dreams. Interestingly, I found from research that Chinese horror movies have the highest rate of return, rather than other genres such as romance or comedy. Why is this? There are two reasons for it. The first reason is that as a genre film, horror movies are not produced very often or very much in China. With the increasing entertainment needs but limited supply, the audiences are willing to pay to watch a cinema horror movie. It helps to satisfy their curiosity and novelty-seeking. The second reason is that there is a certain portion of audiences who are so-called “cult lovers”; even though the movies are very rough, they are still supporting them. If your Z-108 qi cheng (2012) was released in mainland China, to what extent would it have to be abridged in order to be released? All of the [scenes]. Definitely cut all of them. When I shoot Z-108 qi cheng, I never thought of releasing it in mainland China. If I don’t cut some parts, it even cannot be released in Malaysia or Singapore (restricted, 21+). On the other hand, I don’t think people should blame all this on SARFT because they don’t give the Chinese authority a lot of choices. Can you give us more information about The House That Never Dies 2? How will you meet audience expectations for the film? How will you avoid censorship issues? The House That Never Dies 2 is based on true stories which happened in Beijing; it is about when people moved into a haunted mansion then paranormal events happened like reincarnation. Audiences’ expectations for the film were fulfilled in a way. The box office of The House That Never Dies 2 easily surpassed one hundred million yuan within 48 hours, 178 million yuan after publicly shown for five days. 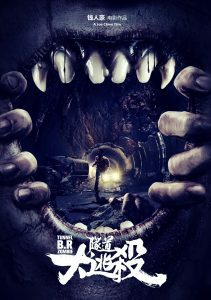 It was regarded as one of the best Chinese horror films by big media platforms like Tencent Entertainment, Sina Entertainment and Netease Entertainment. However, the limitation was still the story itself, because it cannot seem too “real” otherwise it will be censored.